At Pomerado Scripps Eye Care, we care about your vision and eyes. No matter what you need for healthy sight, our eye doctor will satisfy it! Our Poway, CA, office has been serving the San Diego County area for over 15 years, and our eye doctor, Dr. Amaal Odish, brings experience, skill, and compassion to every patient appointment. We welcome patients of all ages! We perform thorough and precise eye exams, including vision testing and a close inspection of your inner eye health. If you are diagnosed with an ocular disease, such as macular degeneration, glaucoma, cataracts, and diabetic retinopathy, we will monitor it regularly to make sure your treatment is effective; specialized eye exams are the best way to prevent complications and vision loss. If you experience eye irritation, such as redness or swelling, call to book an urgent eye exam for emergency eye care. A number of conditions can cause these symptoms, such as eye infection, allergies, dry eye, and computer vision. Our Poway, CA, optometrist will diagnose your condition so you receive the best, individualized treatment. Our optical collection is out-of-sight! 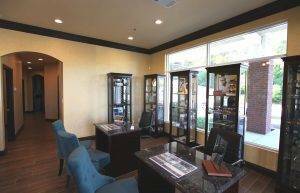 If you need eyeglasses or contact lenses to see well, please stop by our Poway, CA, vision care center anytime. We have a fantastic display of stylish frames and sports eyewear. Speaking of sports, Pomerado Scripps is proud to be a certified Performance Vision Center. Athletes both young and older will benefit from this specialized sports vision enhancement. We focus on your vision, so you enjoy a clear view of all that Poway, CA, has to offer! This city has the nickname of “The City in the Country,” and all the amazing parks hint to the origin of this slogan. A great place to start exploring the outdoor activities of Poway is at the Mount Woodson Trail. We recommend getting there before sunrise, when the weather is milder and the site is less crowded. You’ll be awed by the scenic views, especially when you reach the famed Potato Chip Rock. This pinnacle is so popular that there can be lines of people waiting to take pictures on the rock. Another memorable outdoor experience is to visit Blue Sky Reserve. At this Poway location, you start out on flat valley dirt and later ascend a steep incline towards the dam. On weekends, volunteer docents offer interesting interpretive hikes. If your little ones aren’t up for strenuous hiking and climbing, take them to Old Poway Park for a fabulous day of fun! This shaded park brings early 20th century California alive. Wander the pathways, set up a picnic, and hop on a ride on the Poway Midland Railroad’s cable care or speeder. You can also tour the Poway Heritage Museum and turn-of-the-century Nelson House, located on the grounds. Visit on Saturday morning to take advantage of sweet produce and artisan treats at the Farmers’ Market. Once your family has worked up an appetite, there are many great restaurants within a few steps of Old Poway Park. Try The Hamburger Factory for an old west style meal, or fill up on lighter fare at Wholly Crepe. 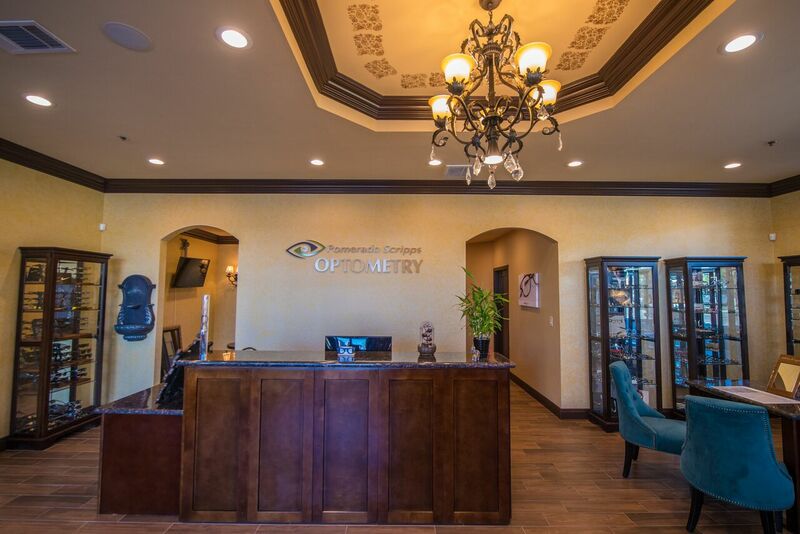 Our optometrist looks forward to seeing you in our Poway vision and eye care center! Welcome to our Poway location serving the San Diego County area.